You will be welcomed by the NZ Adventure Retreat team with a fresh rejuvenating juice and receive your customised goody bag with everything you’ll need for this 4 day retreat. 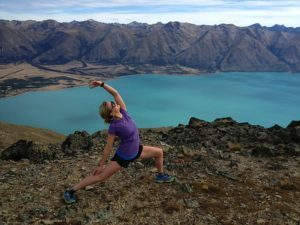 After settling in we set off for a late afternoon mountain hike with mountain-top yoga to ground the body and mind and to connect to the local surrounding, taking in the views of majestic Queenstown and inhaling the fresh mountain air. A delicious and nutritious in-house dinner follows as we return to our home base at The Sherwood. From there we commence our first workshop – an introduction to goal setting. This session aims at helping you visualise and start thinking about goals that will get you amped and ready to live the life you have always dreamed of. We start the day with a charged breakfast and head out to some of the fabulous Queenstown x-country mountain bike trails. 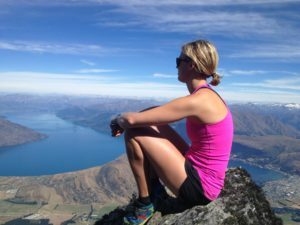 Leading with local knowledge we tackle some of the most stunning trails Queenstown has to offer (from beginner to intermediate, depending on your skill level, so don’t worry we have you covered) and we finish off with a refreshing dip in the lake (optional) for the brave souls. After an wholesome and delicious dinner to replenish the body, we wind down the evening with a restorative Yin Yoga practice to stretch the muscles worked on our big ride. Having a wonderful rest to prepare the mind and body for the next day of adventure. Starting the day with a Dynamic Vinyasa Yoga class to awaken and mobilise the body we are set up for a day of outdoor rock climbing. Lead by local guide we climb to great heights concurring our fears are rewarded with magic views and a great sense of accomplishment. Our guide will cater for all levels and varying degrees of difficulty, so you’re not left hanging. Late afternoon relaxation incorporates massages and chill-out time to reflect and journal. In the evening we dig a little deeper into the goals and what might be holding us back from being bold and courageous. Followed by another mouth watering meal leaving our bellies full and hearts happy. A tasty breakfast gets us started before we take our yoga practice to the lake with Stand Up Paddle Yoga. 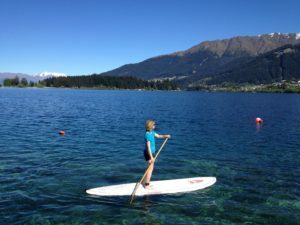 After a warm-up paddle along the crystal clear waters of Lake Wakatipu, we flow together on the lake. We wrap up the afternoon together with a sit down lunch, sharing the highlights of our 4 days together. Before the farewells, you will be set up with the tools to turn your dreams into a reality and the inspiration to keep you on track.